1 dart every three seconds. Fun but slow, and the radio is of limited use. 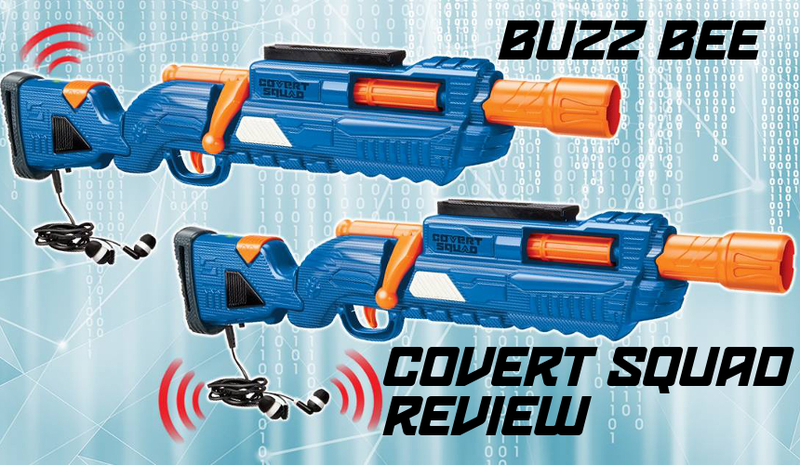 Buzz Bee Toys is starting to see their products from Toy Fair 2018 hit shelves, including the Air Warriors Covert Squad blasters. These two single shot, bolt-action blasters feature short-range walkie talkies in their stocks, allowing partners to communicate with one another. The blasters themselves are decent blasters, derived directly from the Predator/Alpha Rogue from last year. The walkie talkies, meanwhile, aren’t of the best quality. If you buy these, don’t do so for the electronics. Prototype used in FCC testing. 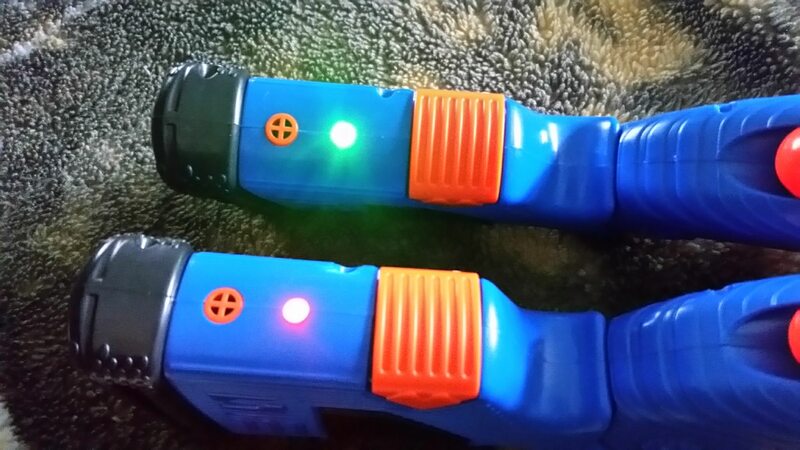 The Covert Squad blasters automatically bring to mind the old Commlink II blasters from the Nerf Cyber Strike line. Those blasters retailed for $29.99, a high price at the time, and also came in pairs (one the “Recon” unit, the other the “Command” unit). They each fired one dart at a time, using a pullback priming method. Each also had a radio advertised for use up to 100′ away. In practice, however, these blasters were just full of static, and were expensive for the time period. The Covert Squad has this long gone blaster pair beat twenty years later, with better radios. However, “better” is relative. Within 100′, barring any sort of obstruction, the blasters can be used to communicate effectively. I do not know what kinds of testing brought about the 300′ range claims, but in practice it’s extremely hard to hear at those distances. Meanwhile, close range use (with the built-in speakers) results in nasty feedback. 20′-100′ seems ideal. Buzz Bee did opt for some improvements in device utility. The radios can choose between two channels, allowing multiple teams to operate if there are ever more than two blasters on the field. In addition, the radios have earphone jacks and come with earbuds, allowing for actual covert use. Each blaster needs three “AA” batteries. The Covert Squad blasters follow the exact same platform as last year’s bolt-action single shot blasters. 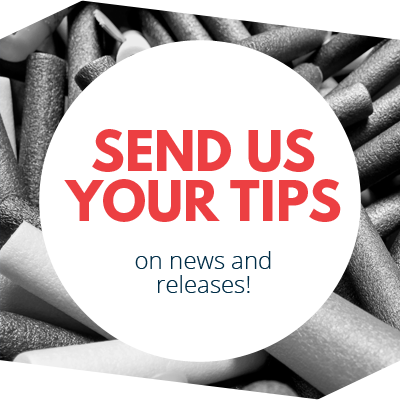 A large plunger tube and spring sits in front of the trigger, and feeds up into the barrel when the breech is closed. Pulling the trigger lowers the dart gate, then engages the catch to fire the loaded dart. 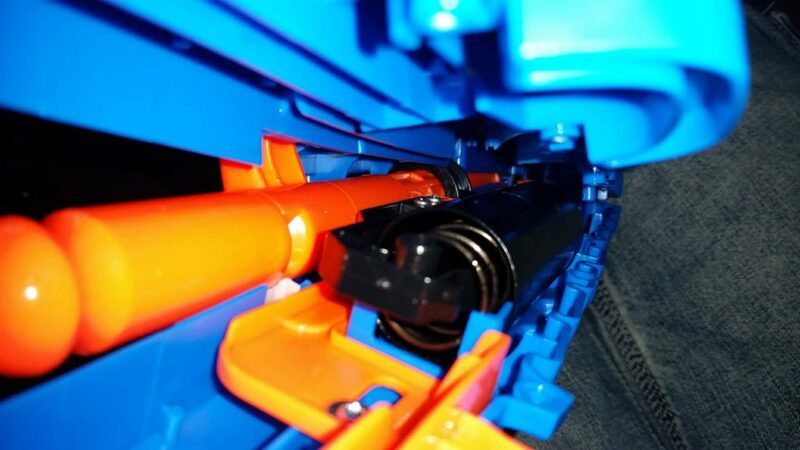 As always with Buzz Bee blasters, the bolt action is smooth and easy. 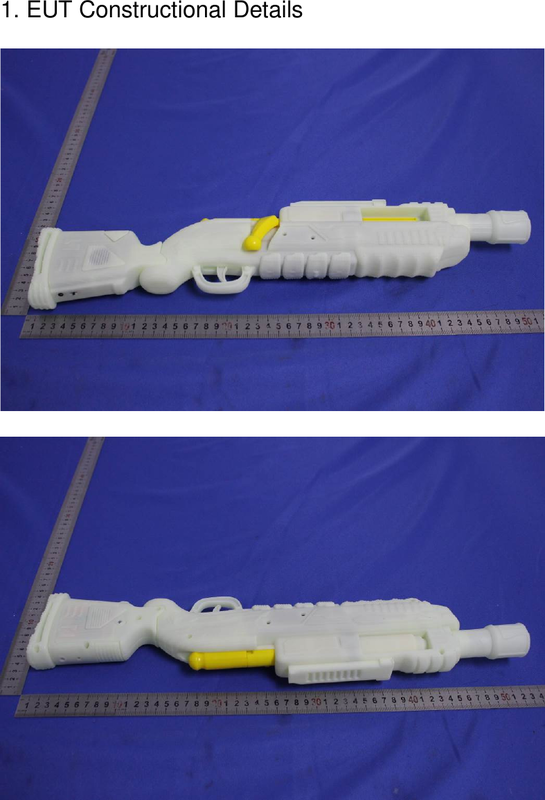 A rail sits on top for various Buzz Bee scope attachments, although none are included. Note that both the barrel and the rail are solvent welded into place. 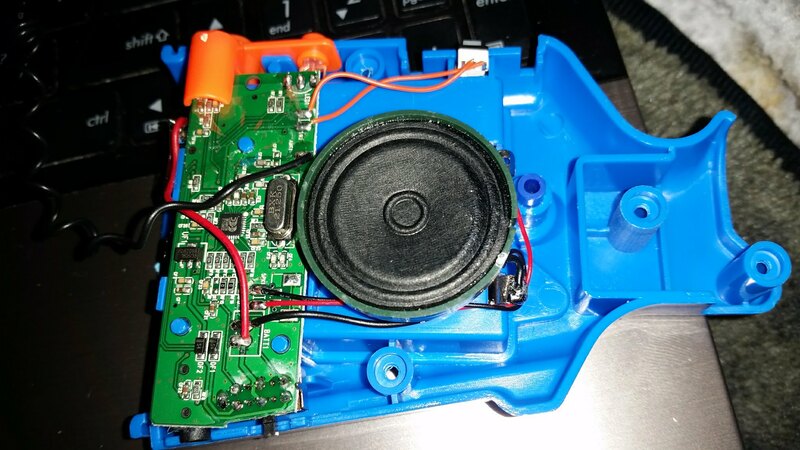 Meanwhile, the blaster stock unscrews easily, with the radio in its own separate shell compartment. The LED glow indicates which channel you selected for the radio. The Covert Squad blasters are actually fairly strong, with both of mine hitting 82fps with the included Long Distance darts. These are lighter than normal, so the fps increase is expected. They’re also horribly inaccurate, with misses at 20′ still being common. With Nerf Elite darts, velocities were still at a respectable 75fps average. With better, heavier darts, I would expect good stock performance above 70. The single shot, bolt action blasting is naturally slow. This blaster is not something you can easily use out in the open, or against a horde of zombies. You’re buying it for the fun factor, not the usefulness. The Covert Squad blasters are fun, if limited in usefulness. Chances are that if your partner is within usable radio range, it will be easier just raising your voice to yell at them, unless you’re super serious about the covert part of the name. The blaster, meanwhile, performs well in power if not rate of fire and capacity. 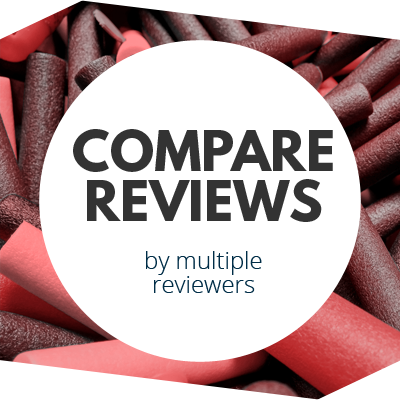 These blasters are fun, but there are plenty of better models available. 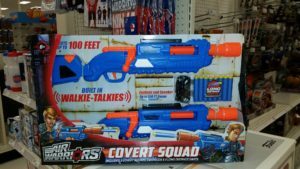 This entry was posted in Dart Blasters, Reviews and tagged 2018, Air Warriors, blaster, blaster hub, buzz bee, covert squad, review, toy fair on August 3, 2018 by BuffdaddyNerf.